Penelope Chilvers Sunshine plimsoll, £109 (penelopechilvers.com) BUY ME HERE! This trend first caught my eye when the Penelope Chilvers summer look book arrived on my desk a few months ago. I instantly fell in love with these printed plimsolls, and this shot, with its guacamole coloured background, is good enough to hang on your wall! This fabric reminds me of the early Nineties and incense burners, but in a totally good way! L.K. Bennett Bamboo slippers, £225 (lkbennett.com) BUY ME HERE! 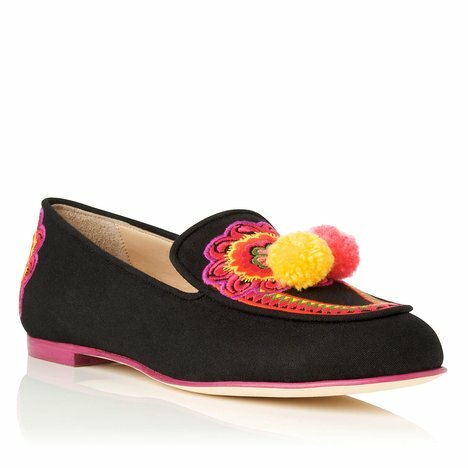 These gorgeous pom-pom slippers are designed by the uber-stylish fashion director of Tank Magazine, Caroline Issa. Caroline often wears incredible heels (they must be incredible for a flat-lover like me to admire them! ), so I was really pleased she included some flats in her collaboration with L.K. Bennett. DUO Bloom slippers, £80 (duoboots.com) BUY ME HERE! DUO (the width fitting specialists, for those of you who struggle to find shoes that fit) has these lovely tassel slippers. 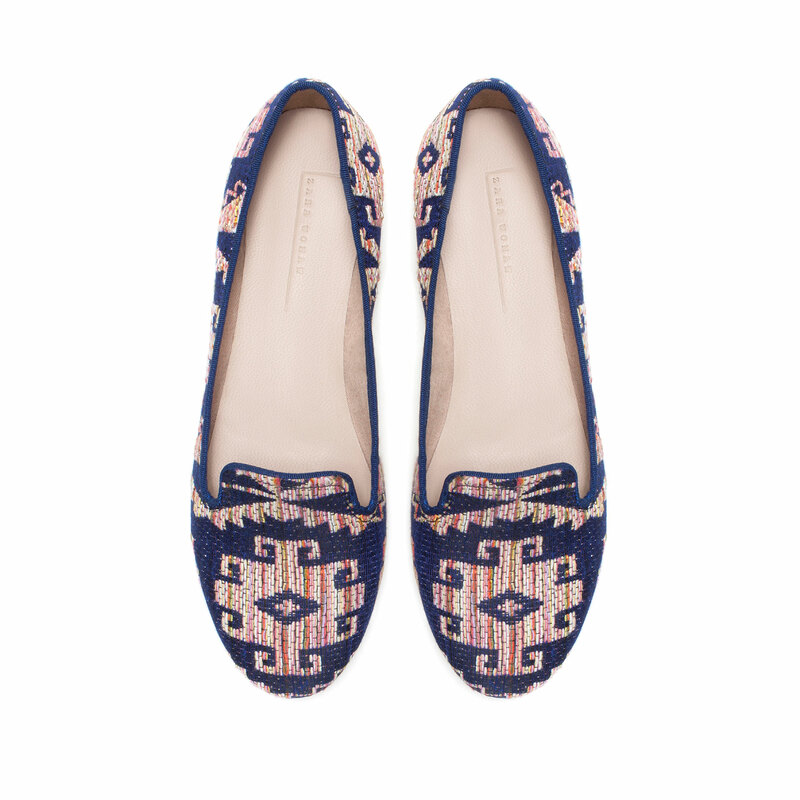 The Aztec style fabric is also available on an ankle boot (here), which is worth considering in this freezing weather! 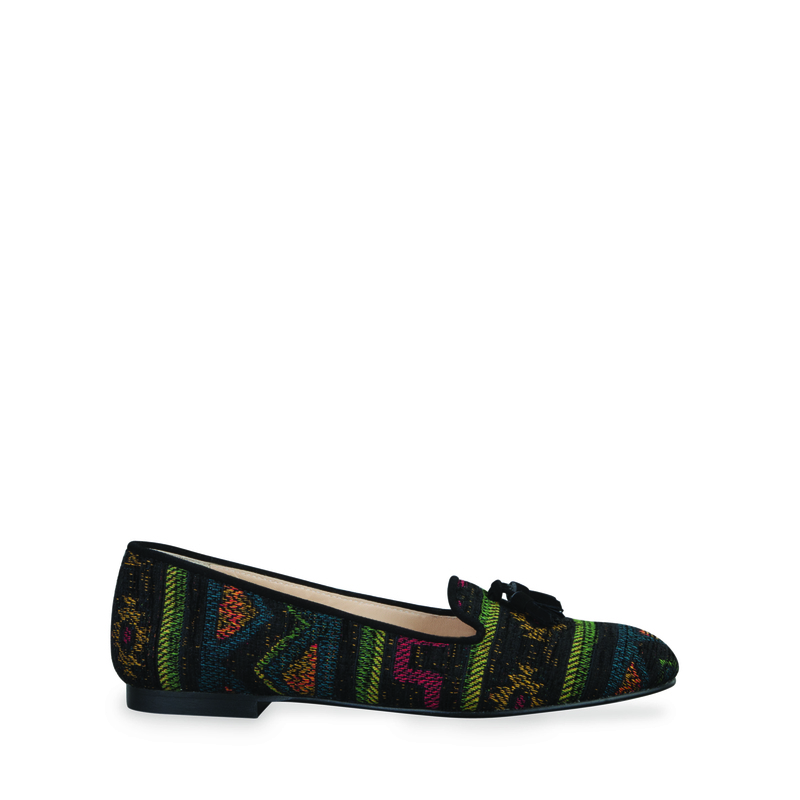 Zara slipper, £29.99 (zara.com) BUY ME HERE! 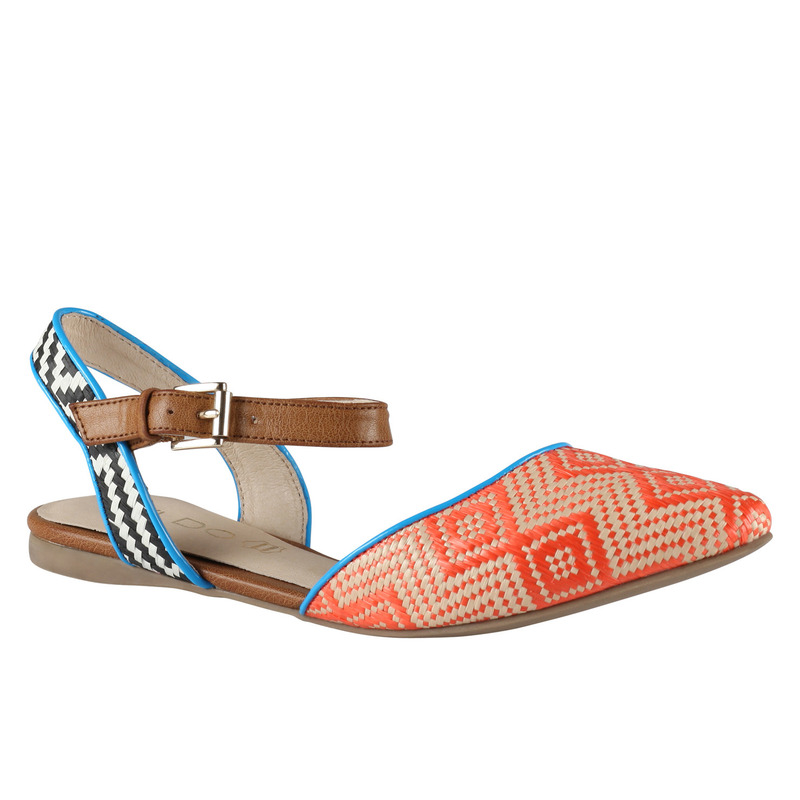 Aldo Lucyna flats, £45 (alsoshoes.com) BUY ME HERE! And the list goes on. You’ll find this trend trickling into everything too, from jackets to handbags to skirts, but I wouldn’t advise wearing it head-to-toe. I think my favourite discovery must be these fabulous desert boots from Kiboots, made from upcycled rugs. 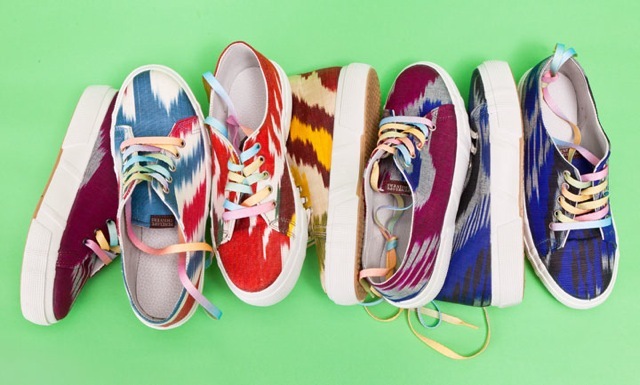 And because they use recycled materials, every pair is different. They’re not yet stocked in the UK, but you can buy on their website and they’re hoping to be stocked over here soon. Kiboots Terry boots, €159.95 (kiboots.com) BUY SOMETHING VERY SIMILAR TO ME HERE! Love the shoe collection. Wish combat boots can be just as colorful or come with patterns.